Hoʻomalu ʻia e nā liko. 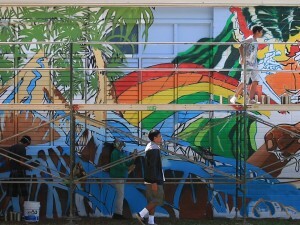 Another Mele Murals project has begun. This time taking place at Blanche Pope Elementary School in Waimanalo. 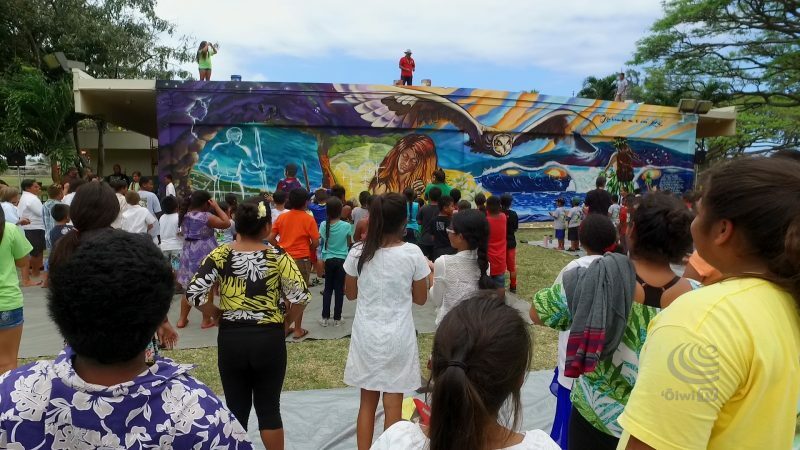 Those involved began the Mele Murals process by taking a huakaʻi, or journey, to a nearby spring to connect with the land and to ask for inspiration for the mural. 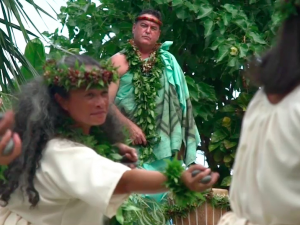 “We went to Muliwaiʻōlena to see what’s happened, and what we did is we started cleaning up becaue there was a lot of ʻōpala,” said Eden Shimaoka, a student at Blanche Pope Elementary. “When we meditated we had stuff in our heads so that went on top the wall,” explains student Kīʻaha Kohatsu. With a clear vision for the mural the next step was for the students to share the sketch with their principal, hoping to get the green light to begin painting. “The children really presented their ideas behind the sketch and, you know, these are children that don’t normally take that kind of leadership role, yet they were able to clearly articulate their thoughts and the collaboration that went on behind this mural,” explains Todd Watanabe, principal at Blanche Pope Elementary. With approval granted, it was finally time to start painting! “Basically this project was just, like, giving back to our school for all the hard work they do for us. We just wanted to give them a gift from us,” explains Lindsey. 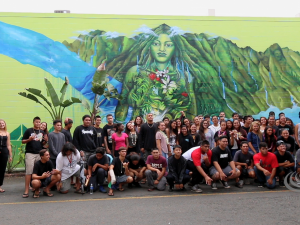 That gift was shared with the rest of the school and the Waimānalo community at a beautiful unveiling celebration.